Industry-recognized leaders to support the company on its path forward. 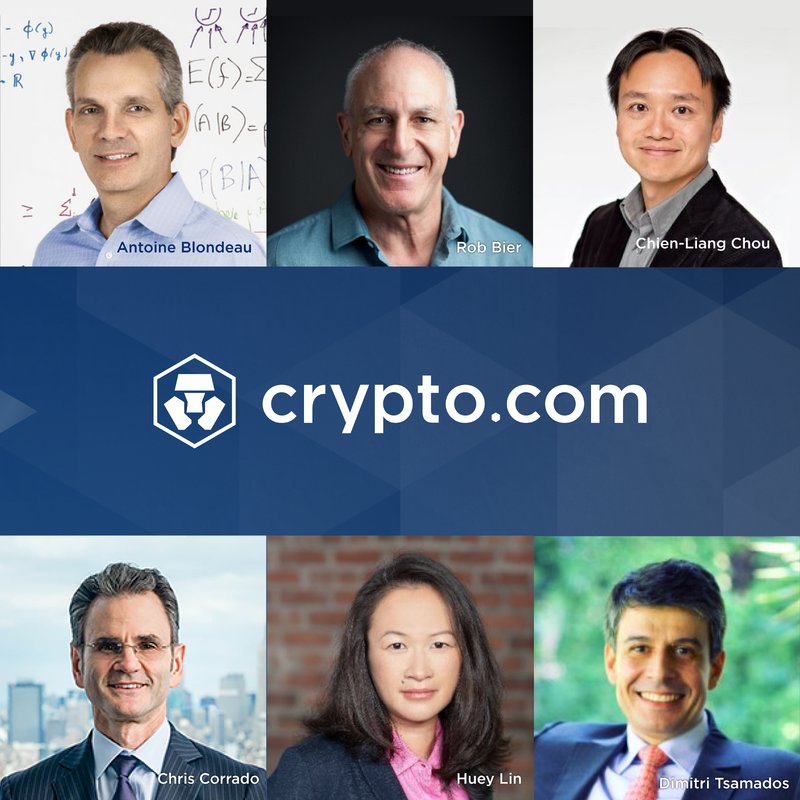 <HONG KONG, September 26, 2018> Crypto.com, the pioneering payments and cryptocurrency platform that seeks to accelerate the world’s transition to cryptocurrency, is pleased to introduce its Advisory Board which will help guide its future. Antoine Blondeau is the Founder and Managing Partner of Alpha Intelligence Capital, a global venture capital fund focused on deep Artificial Intelligence/Machine Learning technology companies. Antoine has 25 years of experience in the technology industry, having held senior leadership positions at Good Technology, Salesforce.com and Sybase. Antoine’s career highlights include founding Sentient Technologies, as well as leading Dejima as CEO, the company that powered DARPA’s foundational CALO project that later evolved into Apple’s Siri. Antoine was also COO of Zi Corporation, whose smart text input software was embedded in hundreds of millions of devices.